MY NEW BOOK! | Carol Sheldon writes books exploring times-past through mystery, love, betrayal and murder. The hills in Sausalito looking down at the Bay. Angel Island in the distance. I’ve missed a few weeks; I’m sorry. I’ll let you in on a secret. 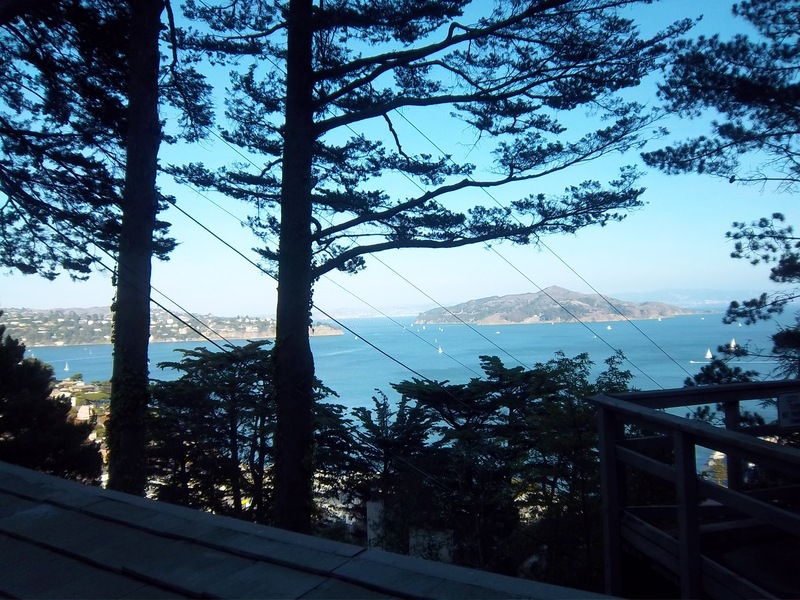 I’ve been so involved in writing my third novel—a mystery about the town I live in—Sausalito. It’s a fascinating place with a very interesting history. I picked the period of the 50s and 60s to write about because I’ve always kind of wished I lived here then. Full of artists, poets, philosophers, people living the free life on house boats jerry-rigged by left over boats and materials from the ship building era during WWII, Sausalito drew the imaginative and inventive. So I’ve been researching through books, Google and old-timers who remember those days. Today a friend gave me a tour, of the ‘gates’ or entrances to water with its now more refined houseboats, commerce and marinas. We also went up in the high hills above the town where there are many multi-million dollar homes. I took a lot of pictures, and plan to share them with you. So I’ve been doing ‘field’ work, research and writing. I have about 85 pages of the new book written. This book is so much fun to write! This entry was posted in California, Historical Fiction, mystery, Sausalito. Bookmark the permalink.